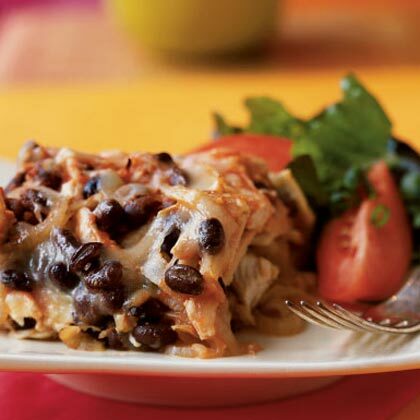 Traditionally a Mexican breakfast, black bean and chicken chilaquiles requires only 8 ingredients and can be enjoyed at any time of day. Serve with a mixed green salad topped with diced avocado, tomato wedges, and olives. 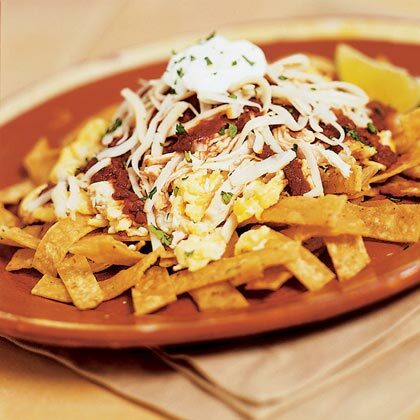 Chilaquiles are a Mexican dish usually eaten for breakfast. Look for dried ancho chilies in Latino markets. For a milder sauce, omit the jalapeño chili. 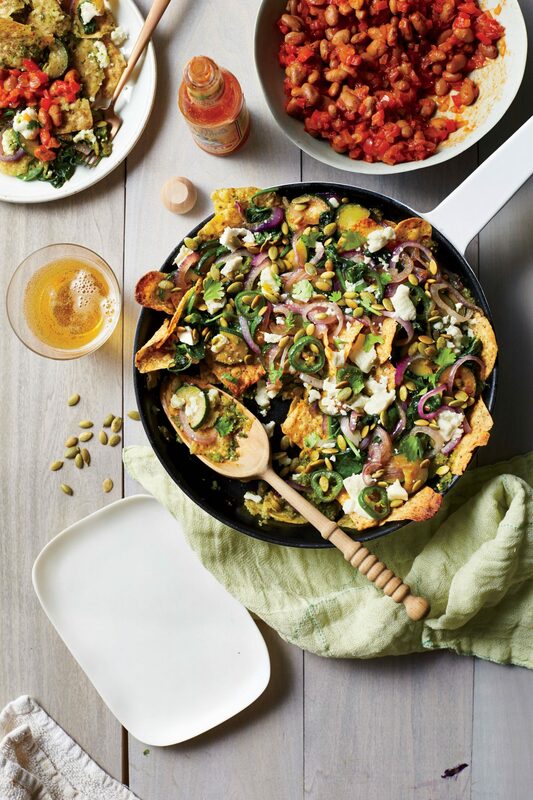 Before there were nachos, there were chilaquiles. 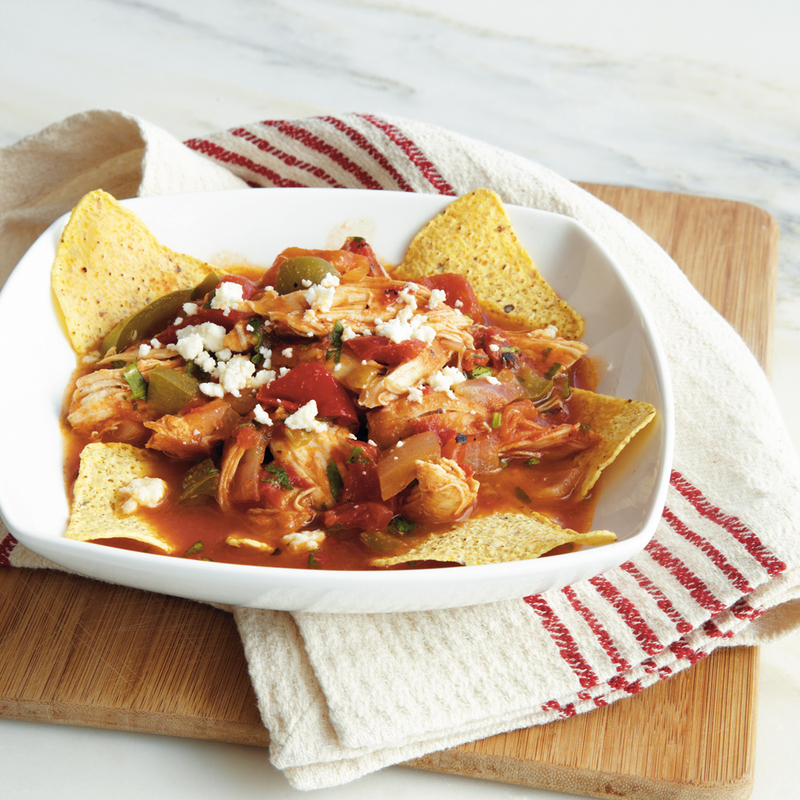 Tomatoes and spices simmer with any kind of meat to make the ideal topping for tortilla chips. 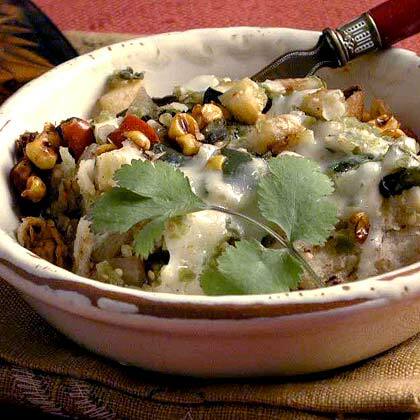 Here, chipotle, chicken, and cilantro meld in this filling Mexican favorite. 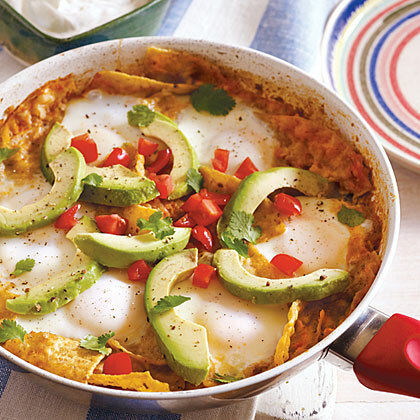 Chilaquiles is a Mexican dish originally created to use up leftovers. It's traditionally made with corn tortillas, chiles, cheese and meat that are either tossed together and sautéed or layered like lasagna and baked. 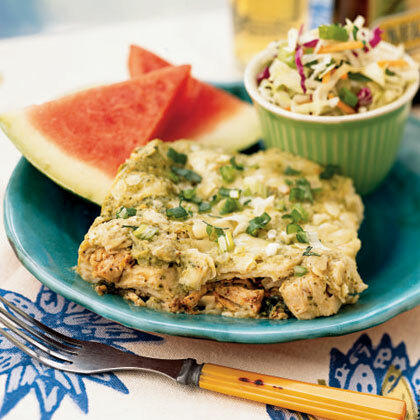 Make this Southwestern chicken favorite for a festive dinner. 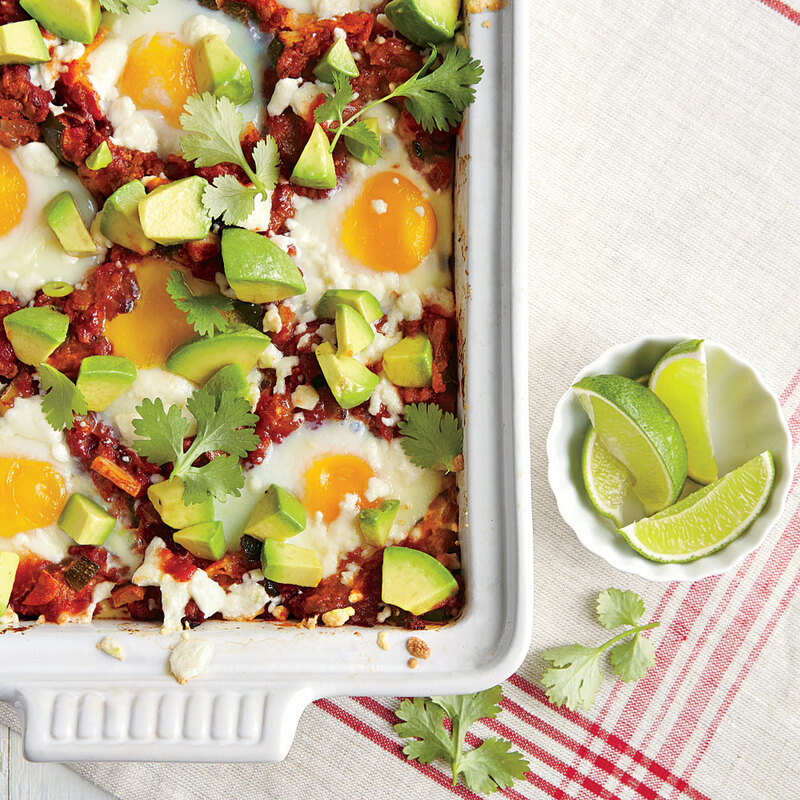 Chilaquiles mimic a traditional casserole by layering ingredients. For even heat, add 1/4 teaspoon ground red pepper to the tomatillo mixture. Tortilla chips heated in a quick-cooking chile sauce and topped with feta, onion, sour cream, cilantro, and chicken make a particularly tasty version of this popular Mexican dish. Don't let the idea of softened chips put you off. This recipe is a winner. This traditional hearty egg dish gets an extra colorful veggie boost with fresh zucchini and radishes. Keep a close eye on the eggs once you place the skillet under the broiler--a soft yolk is a part of this saucy recipe's charm. This well-rounded main dish is equally welcome at dinner as it is for breakfast. This Mexican entrée was invented to use up leftovers, earning it the reputation of a working person's dish. This version gets its name by being served with both red and green chile sauces. 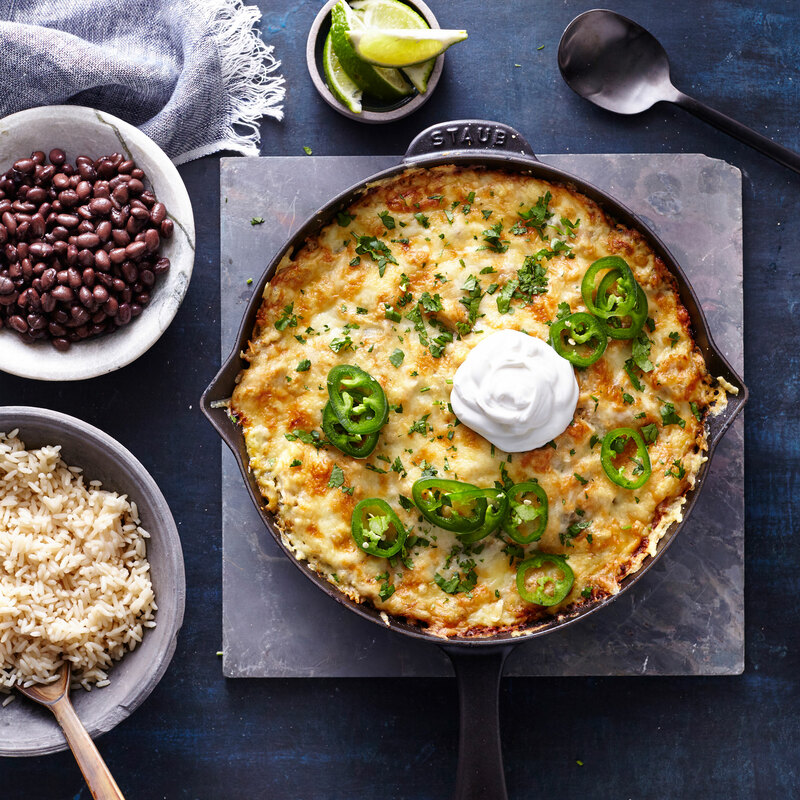 This easy Mexican casserole is a traditional way to use leftovers. Freshly assembled, the dish will be very full, but the contents settle a bit overnight. Because there's not much liquid, the chips around the edges of the dish remain crunchy. This verde version of a Mexican brunch classic is the perfect introduction to summer. If you have time, try switching out canned tomatillos for fresh: Remove the papery husks from 8 ounces fresh tomatillos, toss with 1 tablespoon oil on a baking sheet, and broil 6 minutes or until lightly charred. Cool before processing. Queso fresco has the texture of strained ricotta—it won’t quite melt under the broiler, but its mild flavor will be a welcome contrast to the heat in the tomatillo mixture. Add scrambled eggs to each serving for a little extra protein. 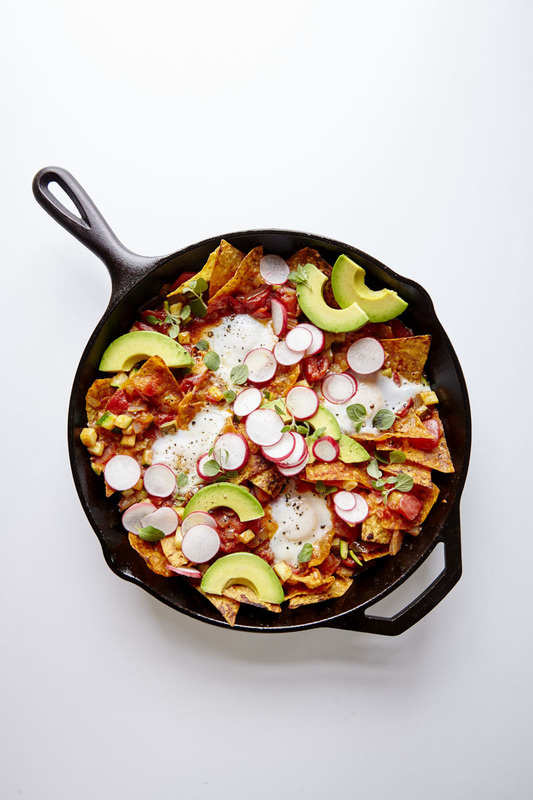 Chilaquiles is a traditional Mexican dish that turns day-old fried corn tortillas (we’ll use tortilla chips for convenience) into a comforting stovetop casserole that’s quick and comforting if your Cinco de Mayo was a wee bit over the top. Branch out from the trusty taco night with these Mexican favorites. 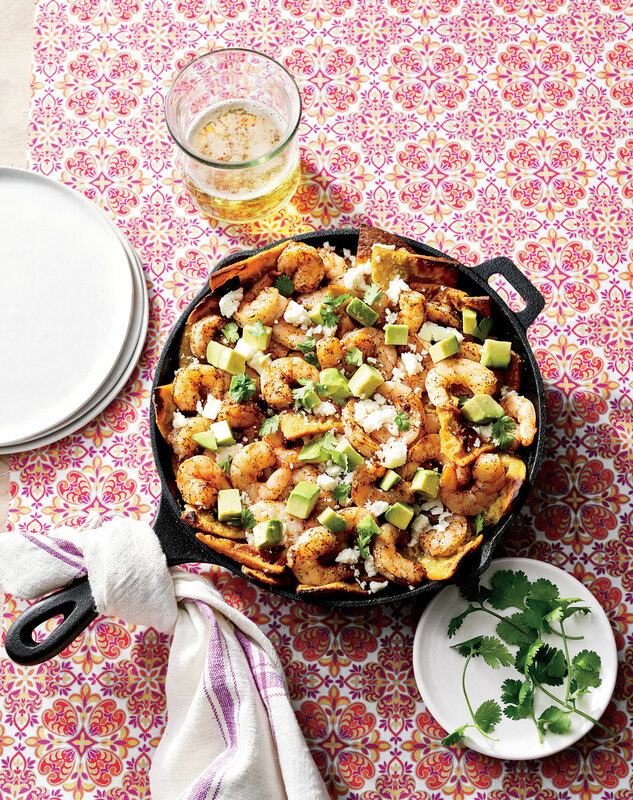 Make it Mexican tonight with these simple, savory dishes.